After a decade of running his own theatre company, Adam Brown makes his film debut in The Hobbit: An Unexpected Journey. Adam plays Ori, one of the thirteen dwarves travelling with hobbit Bilbo Baggins (Martin Freeman) and wizard Gandalf (Ian McKellen) to defeat the dragon Smaug. 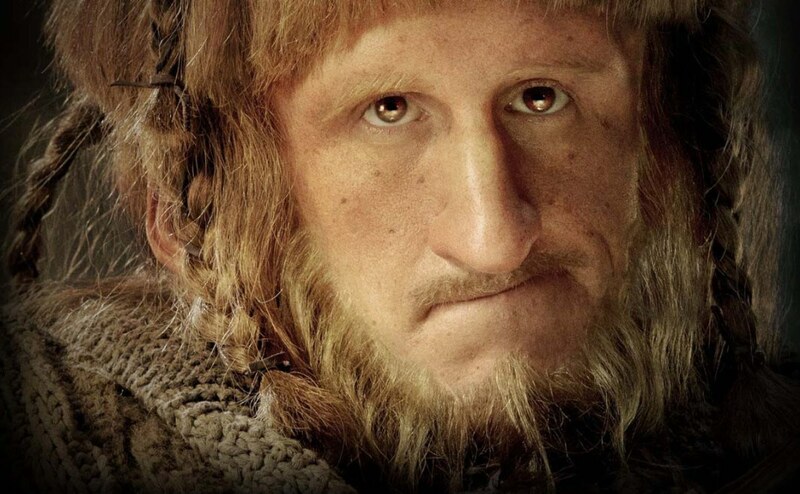 A shy, gentle soul who wields a slingshot and yearns for chips, Ori is one of the film’s comic highpoints, and one of the most memorable dwarves—an accomplishment considering how many there are of them. Ahead of the release of An Unexpected Journey, we chatted with Adam about working in New Zealand and finding his inner dwarf. You’ve been working on the film for so long. It must be great for it to actually be out in the world? We were down in Wellington for about eighteen months, just playing around in our little costumes and now it’s finally being released. It doesn’t quite feel real. I’m excited to see what people think. Ori is mentioned in some of Tolkien’s other works. Did you do much research about him, or just work from the script? A bit of both really. Ori is one of the only dwarves who appears in four movies, because he’s in Lords of the Rings as a skeleton. I did a little bit of research about that, but mostly I went off the script. If you read the Hobbit, the dwarves aren’t mentioned a great deal—they’re not fleshed out. It was great having conversations with Peter Jackson, Fran Walsh and Philippa Boyens about their visions for the characters. The dwarves are each very different and I’m lucky enough to be the little nerdy one, the child dwarf. I play the innocent fish out of water that really shouldn’t be on the journey at all—he’s far too timid. That came from my audition, I guess. I don’t know what I did but I must have brought a nervous quality. What was Peter Jackson like as a director? He’s just lovely. For somebody so rich and powerful, he was incredibly normal. There were times where we would offer our opinions and I think you knew straight away with Pete whether it was going to land or not. If you had to take a few moments to explain your idea it never really worked. He knew straight away what he wanted—he was always two steps ahead of all of us. We’d think that we’d come up with a great idea but he’d thought of it and considered if it would work. 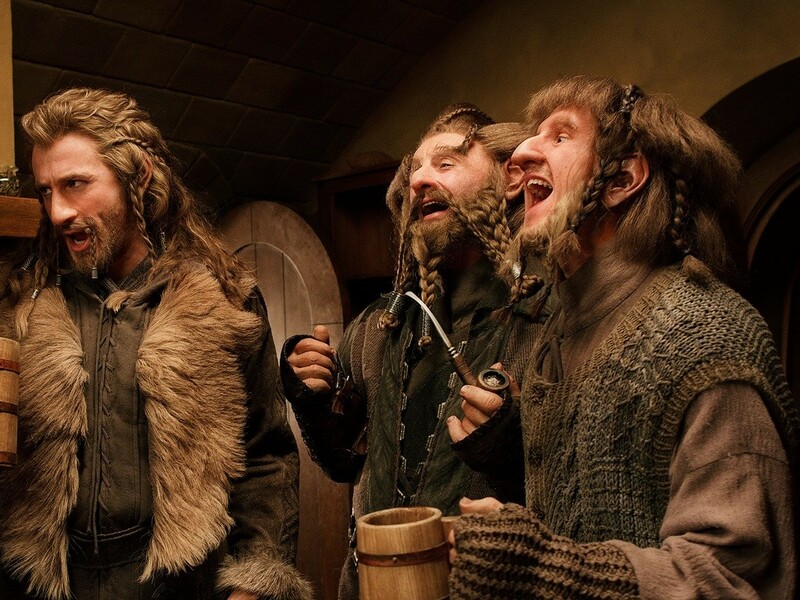 Did you form a bond with your fellow dwarves? We really, really did. It’s funny, I remember watching the Lord of the Rings DVDs and on all the documentaries they say how it’s like a family and I’d think “Come on, that’s just something you say to the press”, but it’s totally true. Pete and Fran and Philippa have got such a unique world down there. All of these actors, aside from the New Zealanders obviously, are miles away from home. So the only thing we could do is really bond as a team. We did lots of Dwarf boot camp training, learning how to walk as a dwarf and getting armour lessons. The process of finding our inner dwarf was ridiculous, but such fun. How does a dwarf walk? Our movement coach described the walk as if you’re ploughing a field and there’s a big crane on your back. The way a dwarf walks is completely different to the way an elf or a hobbit walks. Dwarves are very grounded and centred. They’re never light on their feet. It’s like a truck accelerating—it takes a while but as soon as they’ve got some power behind them dwarves can pick up some great speed. What was the strangest moment when making the films? I guess one of the oddest was being invited around to Pete’s hanger. He has a series of them in Wellington, and he’s really interested in World War One so he’s got lots of replica aeroplanes and guns in them. After filming all the dwarves were invited for pizza and beers and we were shooting guns in a hanger. It was one of those things you can’t really say no to. We ended the evening sitting in Chitty Chitty Bang Bang, the actual car from the film. That’s how random it got last year. You’re also going to be an action figure. Have you thought about that? I think my family are more excited about that than I am. I must admit on the last day of shooting when I received my Lego action figure I thought, well, this is it, I’ve reached the pinnacle of my career. I’m officially a piece of Lego: I can stop now.